New in 2019 for QuickBooks Desktop Enterprise. Picking, packing, and shipping products is much easier with Enterprise 19.0. 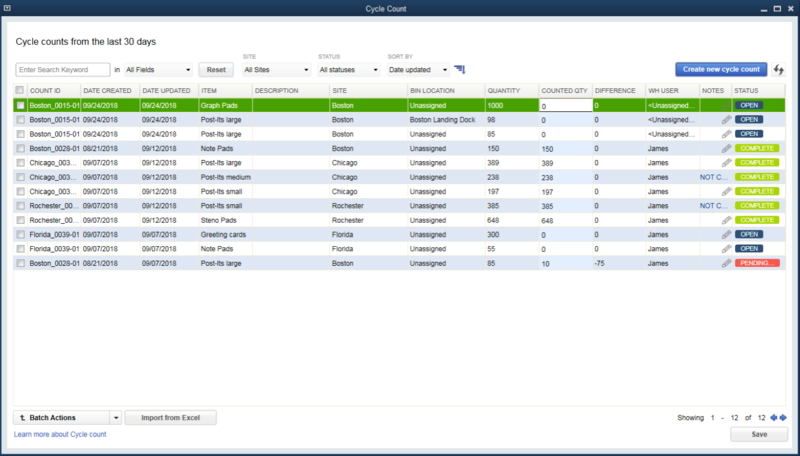 A central dashboard lets you track and manage sales orders from start to finish right inside QuickBooks. Combine it with mobile inventory barcode scanning1 and you've got a powerful one-two fulfillment punch to help reduce time, paper, and errors. Cycle Count for inventory3 informs you of what you have in stock in real time without having to shut down your warehouse to take a physical inventory. A central inventory dashboard allows you to track inventory in different warehouses and enables you to efficiently import or export inventory levels as you need them. 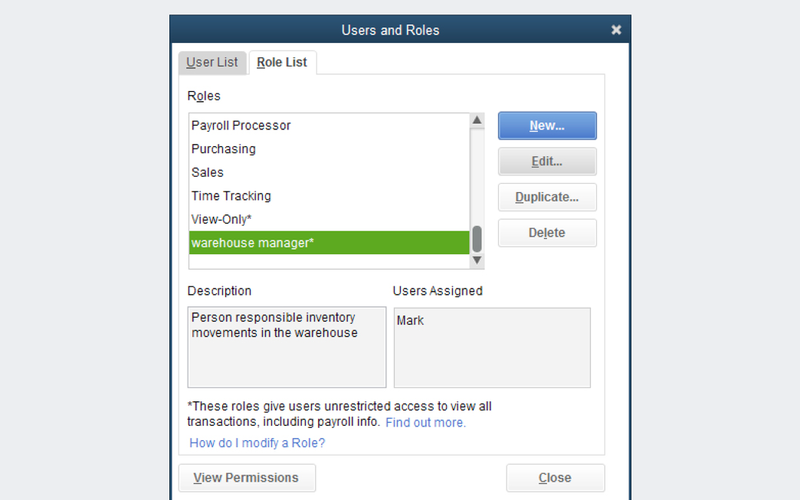 Enterprise lets you set individual user roles and permissions for more than 115 different activities, now including payroll. With explicit permissions, you can prevent unauthorized access and protect sensitive information. Advanced Reporting4 puts the information you need right at your fingertips. Build powerful, customizable reports that are auto-filled with company data. Easy templates for contractor, manufacturing & wholesale, non-profit, and retail let you create reports specifically for your industry. make QuickBooks easier than ever. 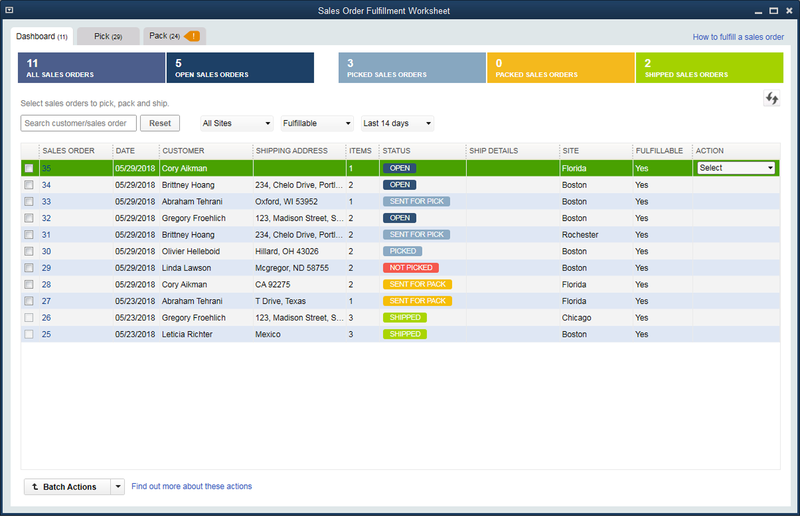 Expedite collections and improve cash flow with real-time visibility into the status of your invoices. Easily track your invoices at a glance with Invoice Status Tracker. Our Check to Bill Pay feature gives you visibility into unpaid vendor bills so you can easily manage payments. QuickBooks will prompt you to link checks with open bills, so you don't lose track. We've improved our data protection program to make automatic data backups more reliable and easy so you can rest easy. A streamlined setup flow reduces steps with clear, concise messaging. Advanced Pricing is included in the Platinum subscription. Requires QuickBooks Desktop Enterprise with an active QuickBooks Desktop Enterprise subscription and an Internet connection. You'll automatically receive any new versions of our product that are released, when and if available, along with updates to your current version. Terms, conditions, pricing, features, service and support options are subject to change at any time without notice. Intuit Data Protect uses latest online version of data protection/backup software that optimizes backup speed. Entire PC is limited to 100GB total storage which includes all 45 days of backup you have stored. Data encrypted using AES 256-bit encryption. Requires internet access for backup, restore and setup changes and comes bundled with QuickBooks Pro Standard, Premier Standard, Pro Plus, Premier Plus or Enterprise subscription. Not available to QuickBooks for Mac or QuickBooks Online users. Not intended as a file transfer, remote access solution for your QuickBooks file. Intuit Data Protect is not intended as a HIPAA solution and its use will not assist with or ensure HIPAA compliance. Hours exclude occasional downtime due to system and server maintenance, company events, observed U.S. Holidays and events beyond our control. Subject to change at any time without notice. Data Recover Service: Coverage begins at the time of enrollment and ends upon cancellation of stated term length + 30 days from cancellation date to be able to recover your backup data.